This innovative volume is an extended intellectual conversation about the ways personal lives are being undone and remade today. Examining the ethnography of the modern subject, this preeminent group of scholars probes the continuity and diversity of modes of personhood across a range of Western and non-Western societies. 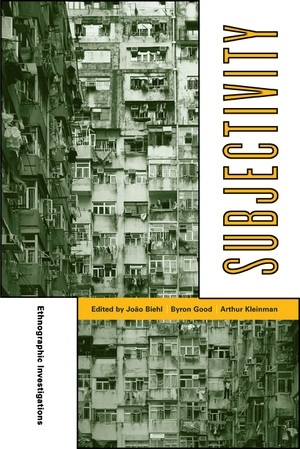 Contributors consider what happens to individual subjectivity when stable or imagined environments such as nations and communities are transformed or displaced by free trade economics, terrorism, and war; how new information and medical technologies reshape the relation one has to oneself; and which forms of subjectivity and life possibilities are produced against a world in pieces. The transdisciplinary conversation includes anthropologists, historians of science, psychologists, a literary critic, a philosopher, physicians, and an economist. The authors touch on how we think and write about contingency, human agency, and ethics today. João Biehl is Associate Professor of Anthropology at Princeton University. He is the author of Vita: Life in a Zone of Social Abandonment (UC Press) and Will to Live: AIDS Therapies and the Politics of Survival. His website is www.joaobiehl.net. Byron Good is Professor of Medical Anthropology in the Departments of Social Medicine and Anthropology at Harvard University. He is the author of Medicine, Rationality and Experience: An Anthropological Perspective and co-editor of several volumes, including Culture and Depression (UC Press). Arthur Kleinman is Professor and Chair of Anthropology at Harvard University. He is the author of several books, including Patients and Healers in the Context of Culture; Writing at the Margin: Discourse Between Anthropology and Medicine (both from UC Press); and, most recently, What Really Matters: Living a Moral Life amidst Uncertainty and Danger. Among his coedited volumes are Social Suffering (UC Press) and Global Pharmaceuticals.